With clocks set to ‘fall back’ to daylight standard time this weekend Canadians will be getting a much needed extra hour of sleep. Although we’ll be walking up to more sunlight it also means that dusk comes sooner, making the afternoon rush more risky for drivers and pedestrians. November is known as a very dangerous month for pedestrian injuries and fatalities. It becomes riskier for pedestrians to travel between 4:30 and 7 p.m. as drivers adjust to lower light visibility. 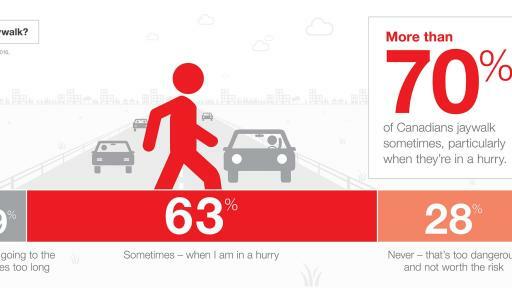 And according to the latest national survey from State Farm Canada, it appears pedestrians may not be making it any easier on themselves. 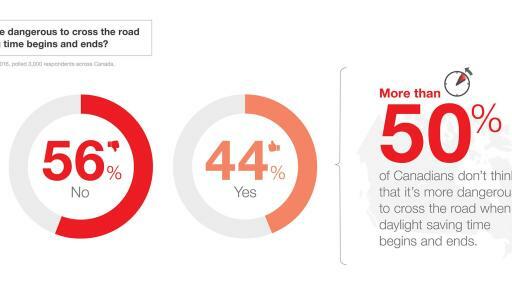 More than 50 per cent of Canadians don’t think it’s more dangerous to cross the road when clocks ‘fall back’ or ‘spring forward’. During the hours and days following the change to standard time (Nov 6), the risk of being struck or killed by a car increases as a result of conditions like poor visibility and sleep deprivation. 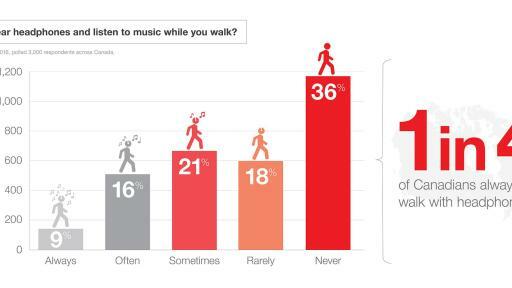 As more of us consume content and communicate via our smartphones it may not be surprising to note that 40% of survey respondents admit to texting while walking. When you couple that with 45% using headphones to listen to music and 70% admitting to jaywalking the risks to both pedestrians and motorists increase exponentially. According to research published by the Globe and Mail, a pedestrian is hit in Toronto every 4 hours and someone dies every 10 days. A total of 163 pedestrians been killed in Toronto since 2011, that’s a 15 per cent increase compared with the previous five years (2007-2011). In the U.S. the National Highway Traffic Safety Administration, says nearly 5,000 pedestrians were killed and an estimated 76,000 injured in traffic collisions in 2012. That’s one death every 2 hours and an injury every 7 minutes. Both drivers and pedestrians can take steps to ensure safety like avoiding distractions behind the wheel and while crossing the street. 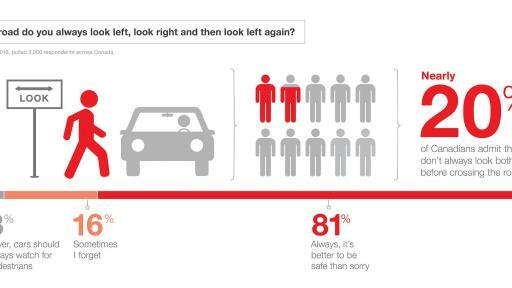 Simple things like looking both ways before crossing the street (20% of Canadians admit to not always doing this), making eye contact with drivers before you cross, getting enough sleep, leaving on time to make it to work, school or appointments, and ensuring your headlights and windshield are clean and clear can be the difference between life and death. 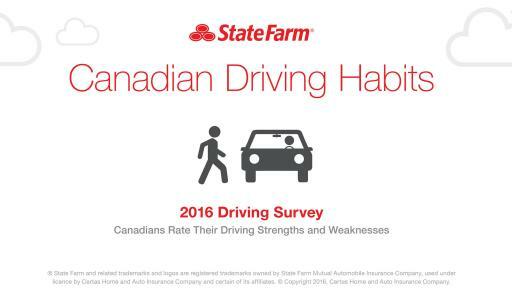 This is the third of three news releases State Farm will distribute in 2016 revealing survey results and the opinions of Canadians about their driving habits and road safety.